Using large rocks in landscaping create boundaries in the yard, and add height and texture to make flat yards more appealing. It is not always easy to bring a new boulder to the garden grounds. So, you should be really attentive, because the rock should be situated in the right place to look natural. Just a random stone in the garden doesn’t look well, you should plan other elements such as flowerbeds, plants and more. How to use large rocks in landscaping? There are a lot of popular large rocks in landscaping, here are a few ideas you can use or hire a company to help you. Just remember the rocks you choose will help set the tone for the rest of your garden. In the rock garden large stones can play the roles of focal pieces. The other space can be completed with smaller rocks and your favorite plants. A number of boulders can be set around the fire ring or backyard patio. Boulders can be used in flowerbeds to accent a flower or group of flowers. You can create a fence from big boulders in your front yard. Retaining Walls! One of the best big rock landscaping ideas is using them in order to conceal some unattractive elements, for example, a utility box. 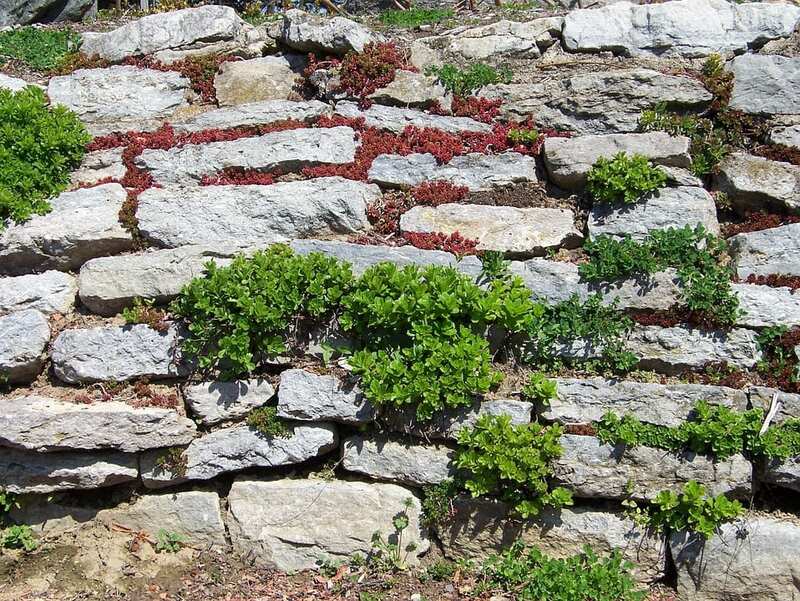 There’s more to landscaping with big rocks than just getting the rocks. The idea is to create a natural look that appears to have evolved right there on its own. The right size matters. Don’t just place rocks on top of the ground. No matter how nice a rock you have, it will look fake and out of place if you just let it sit on top of the soil. Bury the rock at least 1/4 to 1/2 way into the ground. It’s more natural this way. If you look out in nature, big massive rocks look as though they are peeking out of the ground, and it’s because they are. Time has washed off the soil level to reveal the rocks underneath. So do the same with yours. Rocks have sides. Put the flat part facing upwards, it makes it look old, sturdy, and weather beaten this way. Unless the rock is huge and can stand alone on its own, group rocks and boulders in odd numbers: 3, 5, 7, etc. Nature seldom happens in even pairs, so again, pay attention to how nature does it. We would love to show you how landscaping with nature’s beautiful boulders can enhance your residential and commercial landscape. Contact us to request a free consultation.